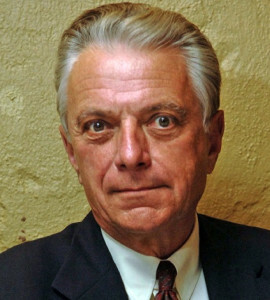 Dr. Vincent J. Felitti, one of the world’s foremost experts on childhood trauma, will present at the daylong program, “The Relationship of Adverse Childhood Experiences (ACES) to Adult Well-Being, Disease and Premature Death,” from 9 a.m. to 4 p.m. on Wednesday, April 6. Dr. Vincent J. Felitti, one of the world’s foremost experts on childhood trauma, will speak at Quinnipiac University on Wednesday, April 6. Dr. Vincent J. Felitti, one of the world’s foremost experts on childhood trauma, will present at the daylong program, “The Relationship of Adverse Childhood Experiences (ACES) to Adult Well-Being, Disease and Premature Death,” from 9 a.m. to 4 p.m. on Wednesday, April 6, on Quinnipiac University’s North Haven Campus. Felitti is co-principal investigator of the internationally recognized Adverse Childhood Experiences (ACE) Study, an in-depth, analysis of more than 17,000 adult members of Kaiser Permanente. In this study, researchers matched the subjects’ current health status against 10 categories of adverse childhood experiences that occurred on average a half-century earlier. Defying conventional belief, this study revealed a powerful relationship between people’s emotional experiences as children and their physical and mental health as adults. In fact, the ACE study shows that humans convert childhood traumatic emotional experiences into organic disease later in life. Felitti’s research remains relevant to today’s health care models. Founder of the Department of Preventive Medicine for Kaiser Permanente, Felitti served as chief of preventive medicine for more than 25 years. Under his leadership, his department provided comprehensive medical evaluations to 1.1 million individuals, becoming the largest single-site medical evaluation facility in the western world. Registration for the program, which is being co-sponsored by The Connecticut Women’s Consortium and the master of social work program at Quinnipiac, is $100, which includes lunch. Participants are eligible to receive six continuing education units (CEUs) from the CT Association of Social Workers (NASW), Continuing Medical Education (CME), and the CT Certification Board (CCB). To register, click here. The Connecticut Women’s Consortium is an independent non-profit organization that offers education, advocacy, and training for caregivers and service providers in the behavioral health field. Its mission is to ensure that the behavioral health system responds to the needs of women and the people and organizations that affect them. For more information on The Connecticut Women’s Consortium please visit their website.